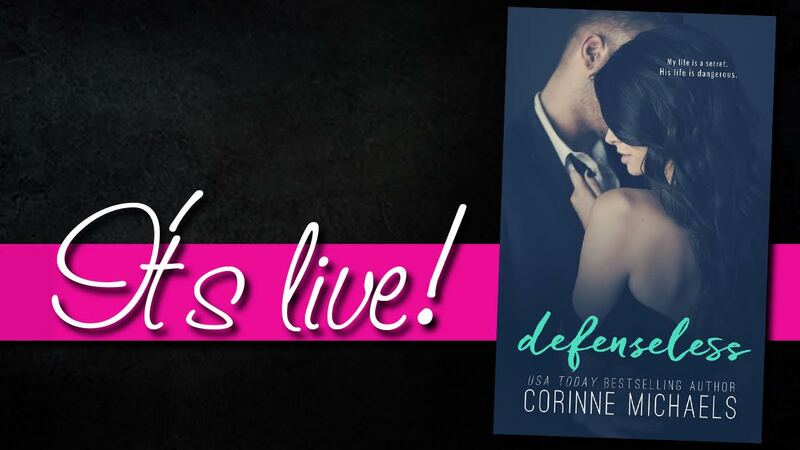 So let’s talk about how defenseless I was against falling in full on, all consuming love with Defenseless by Corinne Michaels. This book had me in full on love with its captivating story, its dynamic and distinctive characters (hello, it’s Mark and there’s absolutely no resisting him), and the level of feeling, and heat, and suspense I got from its pages had me loving everything I was reading. If I’m being honest though, I didn’t put up a single bit of fight with falling in love with Defenseless, or with Mark, or with Charlie. I think I practically gave myself over to the two of them and their story from the moment I started it, and by the end I was completely sunk, in full on heartfelt adoration with the two of them. They charmed me, they wowed me, and they pulled at all of my feelings and emotions and every bit of my heart all the way through. 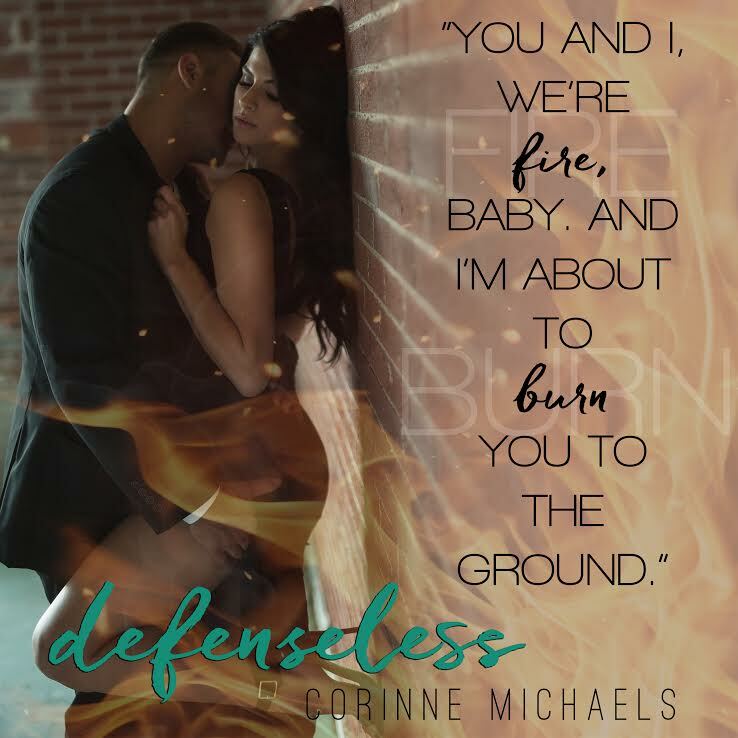 Defenseless gave me a story I had been not so patiently waiting for ever since I met Mark’s character in Beloved. That man took my heart in that book, and I knew his book was one that I needed in my life. Defenseless not only gave me him, it gave me a leading lady that was the perfect, and I mean perfect, match for one Mark Dixon. Charlie Erickson is a gem of a female character and she takes it from no one. Seeing her and Mark, falling hard under the spell of the both of them just like they were falling hard for each other, and experiencing what they did for one another was extraordinary and it had me loving them both all the more. Suffice to say, Charlie and Mark completely won me over. From their banter that had me smiling and laughing from page to page, to the intense and fiery connection and chemistry they shared that had me blushing and melting again and again, to the level of feeling they poured into everything…Mark and Charlie did it for me. They gave me it all, they gave me themselves in the most honest, open, and raw ways, and in the end I loved them with all that I had. 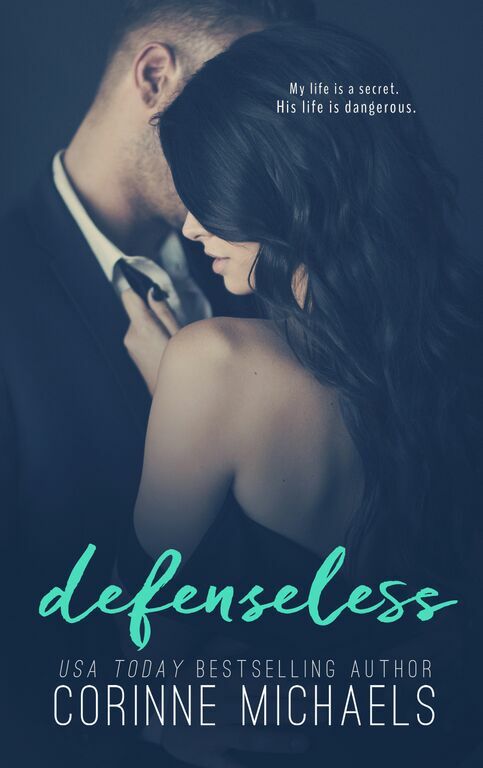 Mark’s character was one that I was beyond ready to get my hands on, ever since I met him and fell under his charismatic spell, and his story in Defenseless didn’t disappoint. Not one little bit. I loved getting to be in his head, getting to be there as he met his match, and met that one person who changed it all for him. It was also quite wonderful to listen to the wonderful craziness that came out of that man’s mouth. He never failed to bring a smile to my face, a blush to my cheeks, and when he wasn’t doing that, he was completely melting my heart with what he said and felt for Charlie. That’s not to say that Mark doesn’t have his moments in this book, and there were certainly times I wanted to shake him silly because of what he was doing or saying, but through it all I loved him fiercely. I loved how Mark wasn’t one to back down, how he kept fighting through it all no matter what was thrown his way, and in the end that had me loving him all the more because it showed the tenacity and fierceness of that man. In Defenseless I felt like I really got to know and understand the man underneath the charm, and that man was authentic and real and had me practically eating out of the palm of his hand. The man that melted my heart and filled it with who he was. Simply put, Mark Dixon is what book boyfriends are made of. He’s sweet and charming and he sends my heart a flutter, and I loved that. Now Charlie Erickson was a force to be reckoned with in every single way. She is a no holds barred kind of girl, and I have to say I was kind of in awe of her character and the presence that she had. She was fierce and strong and a fighter to the T. She never stopped giving it her all, all the way through, and the more I read her character, the more I realized how phenomenal she was, how much she was fighting and how vital that fight was to her core, and how she was the perfect person for Mark. Corinne Michaels does an exceptional job of creating Charlie’s character. She lets you get to know her, just like Mark does, and the more you know her, the more you fall for her, the more your love her, and the more you want her to get to the exact place she needs to be. Charlie is a bit mysterious, in the most alluring of ways, and the more you get of her, the more you will be unable to resist your love of her character. Charlie is strong and fierce, yet vulnerable and unsure at the same time. Seeing the many sides to her come to the page will have you loving her character even more. Being with her as she meets Mark and is thrown off kilter by him and the intense feelings she has for him, will show you so much about her, her wants and desires, and how far she is willing to go for the one thing she never knew she wanted or could have. Mark and Charlie definitely have a chemistry that is off the charts. Their banter and smirk inducing conversations only add to the pull and connection they share, which creates such a consuming build in this book. That build continues to grow and ebb, until its inevitable explosion…and that explosion is nothing short of fireworks. It’s heated, and full of color and passion, and it will mesmerize you with everything it has. The push and pull between these two will pull at all of your emotions and feelings too, and through it all you will be rooting with all that you have that Mark and Charlie can figure out a way to make it all work. One of my favorite aspects of Defenseless, besides Charlies and Mark’s literal amazingness, was how suspenseful, captivating, and enrapturing it was. This book is romantic suspense at its finest, and each chapter, each new page gave me a piece to the puzzle that I, Mark and Charlie were desperately trying to figure out. The level of suspense and intrigue had my heart racing, my mind going crazy trying to piece it all together, and in the end I was in awe of what I got from this story and what was revealed. That suspense is just one of the many aspects that pulled me in whole heartedly to what I was reading, and I loved every unforgettable word and feeling and experience that that gave me with Mark and Charlie. Corinne Michaels is one of my favorite authors for a reason. 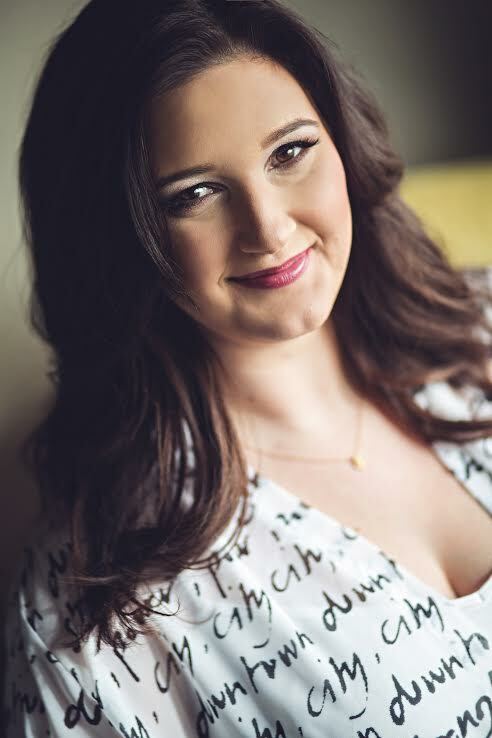 Her fantastic writing not only allows me to fall in love with her characters right from the start, she lets me be there with them through it all. I hope with them, I fall with them, I hurt with them, and my heart squeezes and feels and goes through it all right along with them because of her writing, and that made this book and these characters even more real and amazing to experience. Corinne Michaels not only gave me Mark and Charlie, she gave me the supporting characters of this series that never fail to make me smile and realize again and again how much I love them all. Being back with them felt simply wonderful, and it had me loving them even more than I already did. 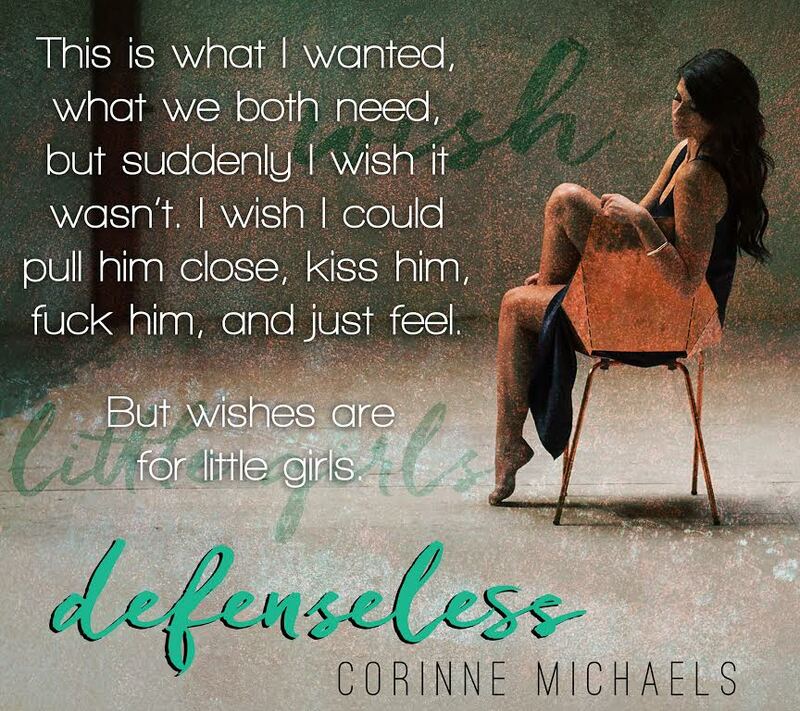 In Defenseless Corinne Michaels truly gave me it all with her outstanding writing and storytelling. She allowed me to fall under the exceptional and distinctive spell of Charlie and Mark that had me loving them both to pieces with each new word I read. She allowed me to fight with them, feel with them, and feel the immense and deeply felt feelings they shared as they went through everything the events of Defenseless threw their way. I couldn’t have asked for more from this book or these characters. They pushed themselves straight into my heart, took root, and I know they’re going to be there for a while because they’re that good, that unforgettable, and that everything.